Every year, from the last week of May to the first week of June, Paris goes into Tennis mode with the French Open going full speed. 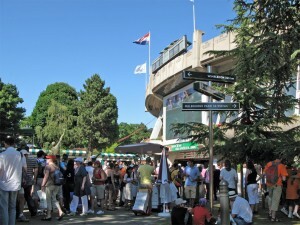 As a tennis fan, I was thrilled when I received an e-mail inviting me to join a HEC MBA networking event organised in the premices of Roland Garros. So yesterday, after arriving (late), I was dispatched into a group that included not only MBA admits, but also MBA candidates, alumni and others currently studying. We walked around the tennis areas before joining a series of presentation and a very nice cocktail. Beside roasting under a glorious sun and watching some tennis, it was great to exchange with others as I gave pieces of advice to candidates, learned about the campus facilities from current students, and discussed job perspective with alumnis. And, of course, the best part being to meet the MBA admits who are going to join my class! I found each of them to be extremely interesting and coming from such diverse backgrounds that it’s mind-boggling. I’m no stranger to goodbyes and new horizons but this one really does feel very special. Indeed, as I reflect on Friday, 29th May 2009, I bring an end to an adventure I started on a 13th of November: 8 years, 6 months and 16 days ago. Throughout this adventure, I have moved offices 4 times, worked on 14 projects (or major proposals) taking me to 17 cities in 10 countries. But more importantly, I’ve had the privilege to work with people from 37 offices around the world which allowed me to gain cultural awareness in a way that’s rare and truly remarkable. Thought it would be nice to put these numbers in a magic square. As a game you can play at finding out how old I was when I started and when I left. One doesn’t leave such a job after 8+ years without throwing a goodbye party, which I did. 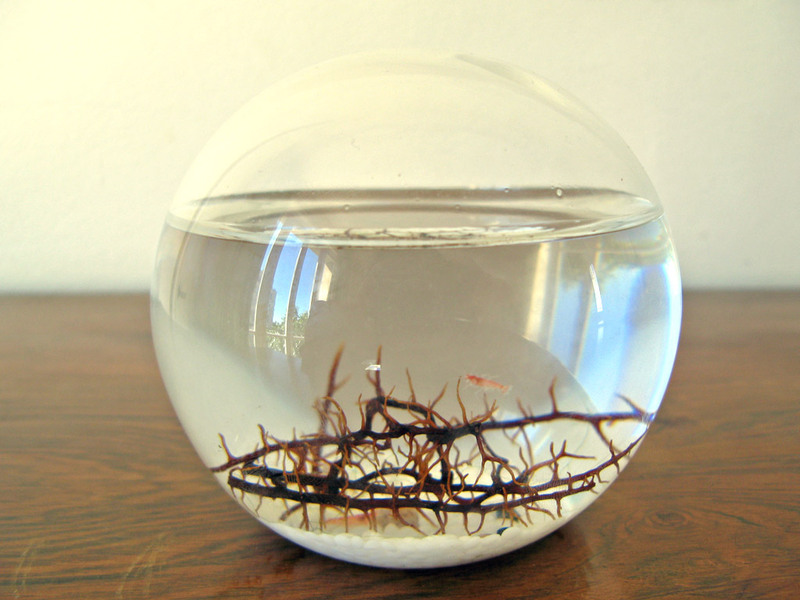 To this occasion, my colleagues offered me an Ecosphere. 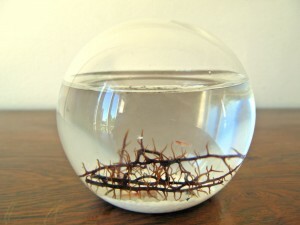 Apparently it can live for around 2 years, so hopefully it will keep me nice company throught my studies. I’ll update you here on how it evolves. As the HEC MBA September 2009 intake is almost made up by now, there are a few ways for us admits to network. The HEC connect website, of course, but also less official means on Facebook or LinkedIn. Via that, some of the French parisian crowd organised an ice breaking event by the Eiffel Tower yesterday. Unfortunately, the weather wasn’t so happy about it and the evening was fresh with a few drizzles. The mood however was great and enjoyable for the 7 of us who attended. We exchanged on our admission process, prior experience, expectations, financing, and on many other topics. As many before me, here I am, starting a blog about my MBA experience. Since December last year, I know that I’ll be starting at the HEC MBA in September 09. I applied to the bilingual French-English programme and thought it would be a good idea to share my experience in a similar manner. I’ll try my best to write this blog in English and in French. You can find the French version here. PS: HEC being such an institution in France, I was quite surprised not to find any HEC MBA blog in French. If anyone knows of any, feel free let me know via comment.